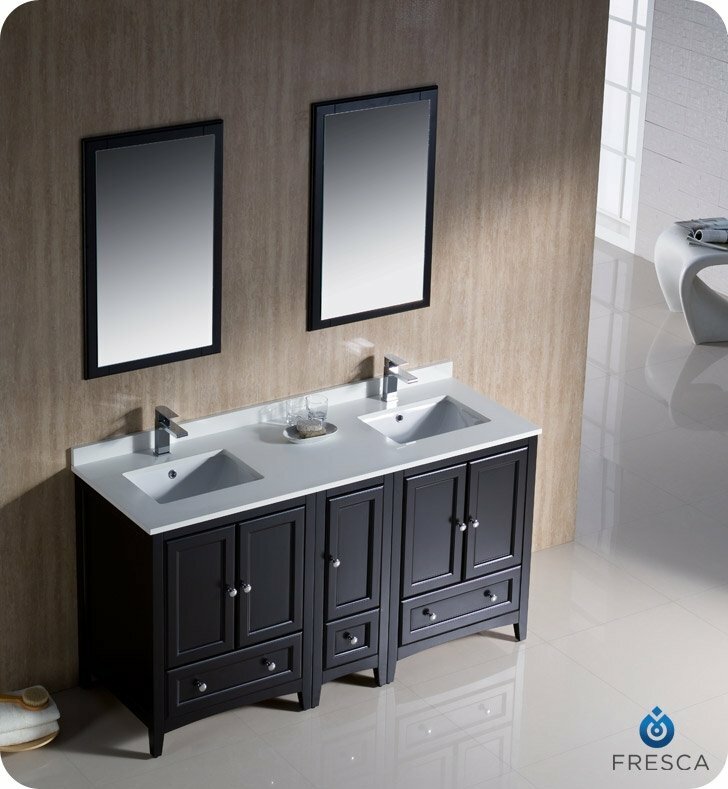 Seamlessly blending sophisticated form and intuitive function, the beautiful Fresca Oxford 60" Traditional Double Sink Bathroom Vanity with One Side Cabinet can bring that little something extra to your home bathroom. The beautiful Mahogany finish also matches a range of decor schemes, from traditional to modern and contemporary appeals. One of the true advantages of this incredible product is its ability to accommodate multiple bathroom users at once. 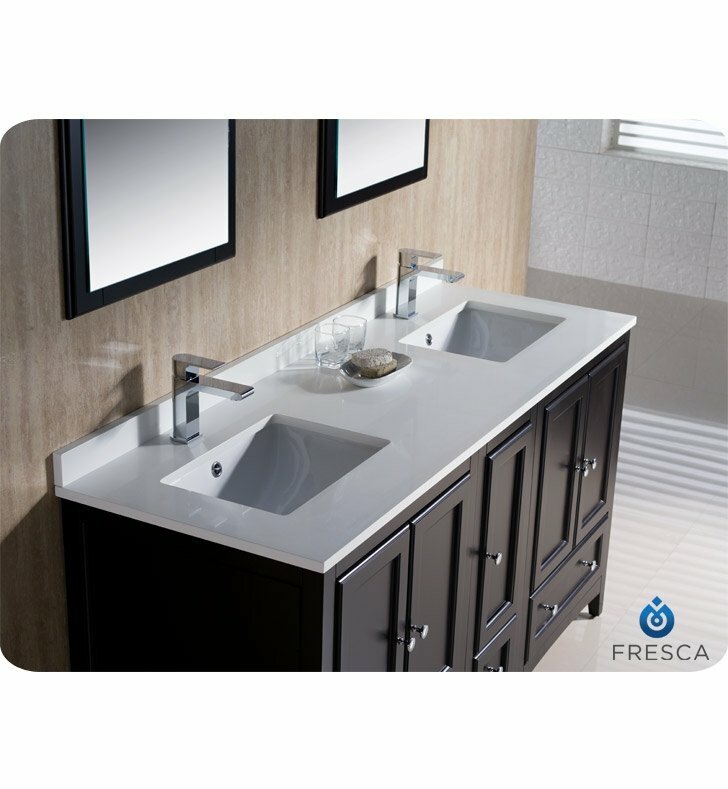 The double undermount sink, which is available in white or bone finish, is perfect for two people to share while freshening up in the morning or washing up before bed. 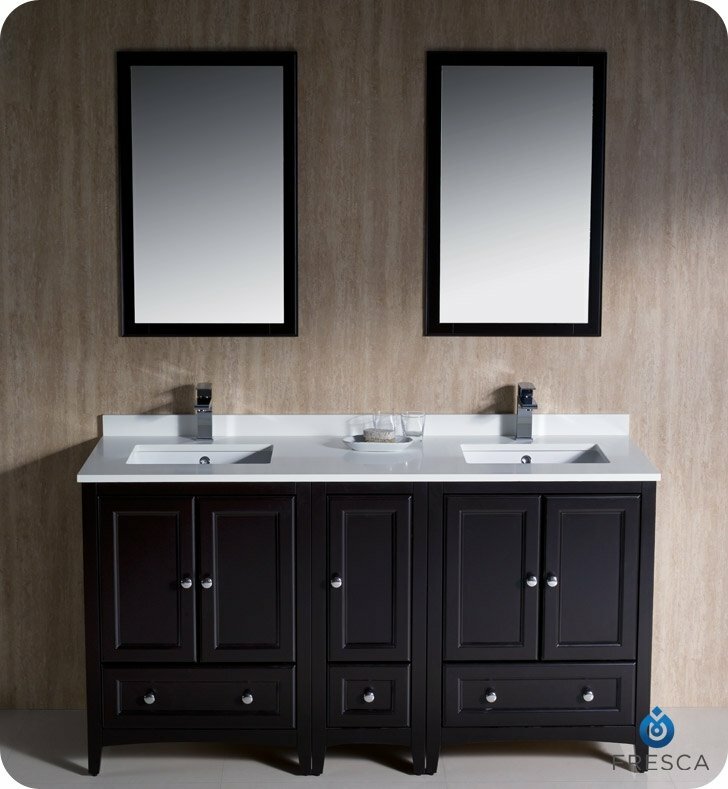 Additionally, the dual cabinets and dovetail drawers located in the solid wood frame allow for spacious and hidden storage. 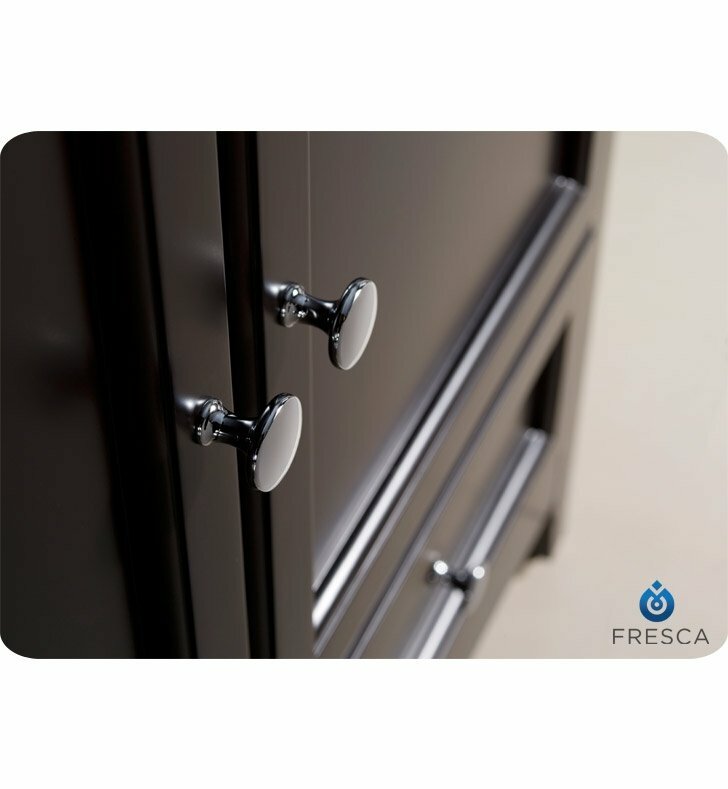 The extra side cabinet is also perfect for holding shared items, like small towels or washcloths. 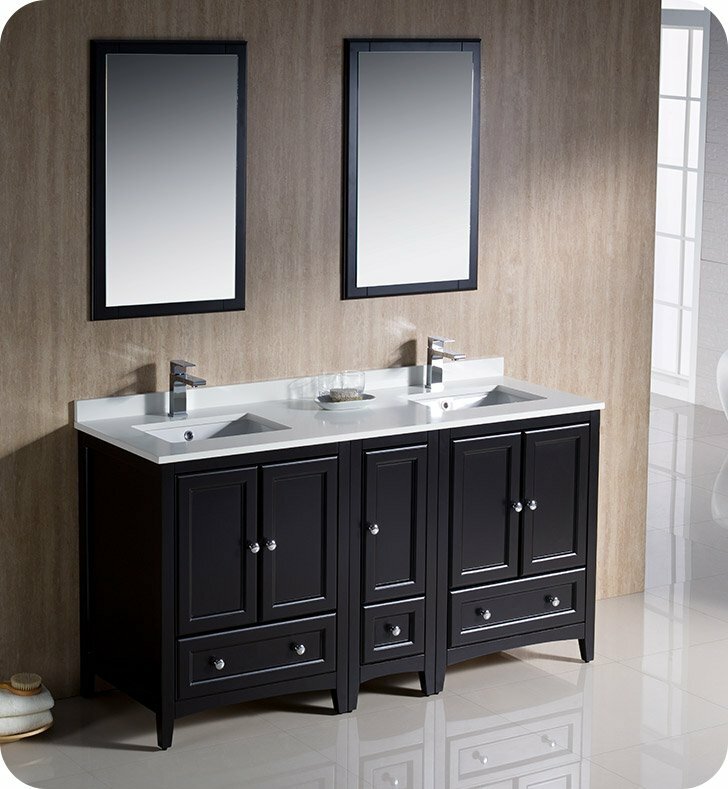 This gorgeous vanity also features a heavy and sturdy quartz countertop, which is available in white or brown finish. A backsplash is also featured, lending a gorgeous aesthetic to the piece. 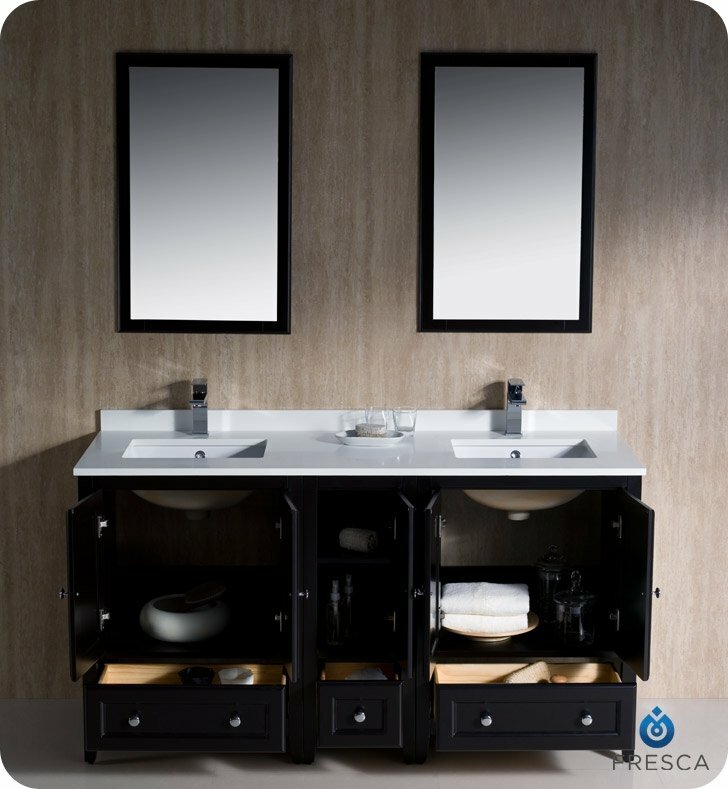 Finally, twin overhead mirrors lend a sense of subtle and sophisticated style as well as symmetry to the overall piece.